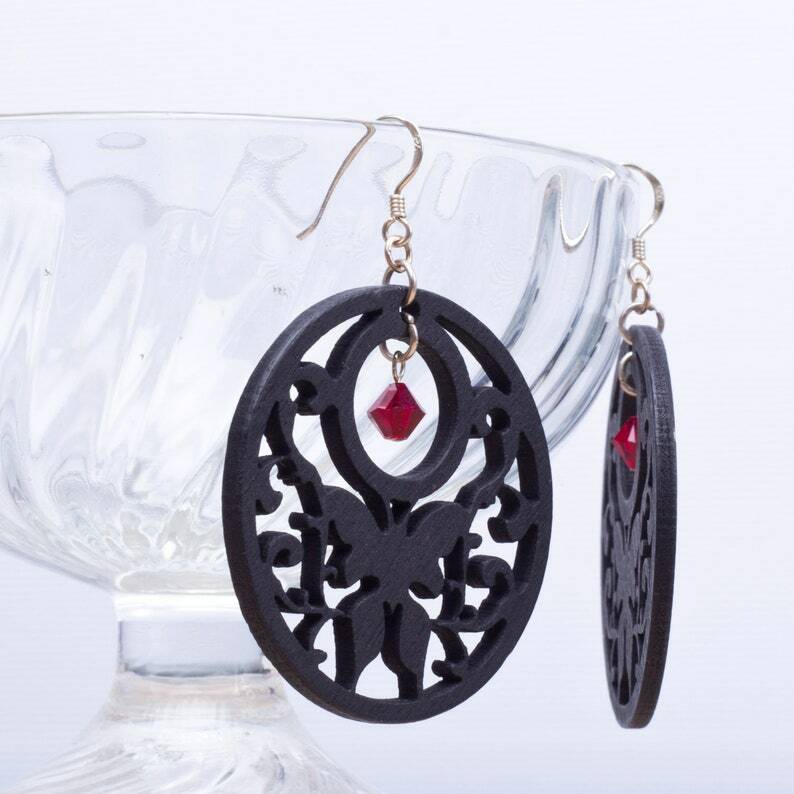 Ornate butterfly silhouettes (made from lightweight wood) hang from sterling silver earwires and feature Swarovski red crystal bicones. Approximately 4.5cm diameter. This was really nice and a great idea. Gorgeous item and received the next day! Arrived quickly and well packed. Presented thoughtfully at a great price. A gift for my Mum and she loves it.